Are you looking for some outdoor activities for toddlers? In recent years, society has become highly focused on safety, sometimes at the expense of allowing kids freedom to play and explore. Luckily, there are things that even toddlers can enjoy outdoors which, under supervision, allow them to explore and have fun without putting them at risk. Go-Karts have been around in different forms for decades, but the BERG models are simple and functional while using materials for the 21st century. BERG offers an entire range of superior quality toys for kids and adults alike. BERG’s Go-Karts for Toddlers are no exception. These Go Karts are solid yet lightweight. Let your toddlers play and have fun safely with BERG’s go-karts. Children aged 10-30 months love the BERG Go. The BERG Go has fold-up pedals so that your toddler can scoot without the pedals getting in the way. 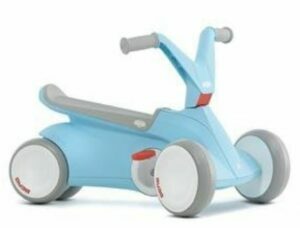 This allows your child to learn to scoot around until he or she is ready for the next stage. 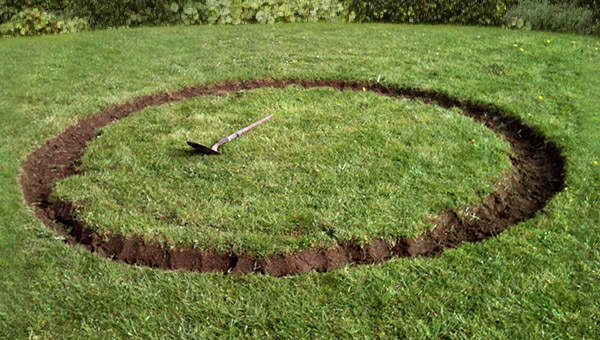 Can You Use A BERG GO On A Lawn? The Berg Go is made for paved yards and indoor use. Its thick, wide wheels allow it to roll in the garden on a well-cut lawn. Make sure there are no excessive slopes. The BERG GO does not have brakes, so adult supervision is required at all times. To ensure safety at all times, ensure that your child is clear from any areas used by vehicles (including your own driveway). Is Trampolining Safe For Toddlers? We’re often asked about outdoor activities for toddlers. Sometimes we’re asked if it’s safe for toddlers to use a small trampoline. The simple answer is no. We do not recommend trampolines for children under the age of three. For young children over the age of 3, we can recommend our regular trampolines. These trampolines are off the ground, so we advise you to purchase one with safety netting. Especially if you plan to leave your children without constant hands-on guidance. At Douglas Forest and Garden, we stick with brands we trust. We’ve tried many different brands of trampolines and after bouncing around between different models over the years we settled on Berg. Berg trampolines have the right balance between price and quality, their trampolines are durable, built to last and their back-up service is unmatched. For these reasons, Berg is also our preferred brand for Go-Karts. We’re often asked what the difference is between the different Berg trampoline ranges. With so many options it can get a bit confusing between the Talent range, the Favorit range, Champion range and Champion Elite range. The main things you need to know is how much ground space you have, what kind of restrictions are there to your space? Are you in an urban area or countryside? How many kids do you have — the more kids, the larger jumping load you’ll have to take into account. All ranges are available in-ground and regular. There are also different safety nets available. If you have any specific requirements, there’s going to be a Berg Trampoline to suit you and your family’s needs. 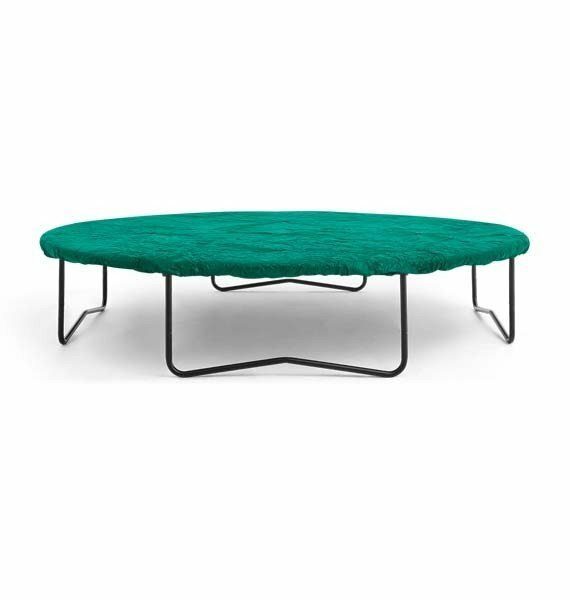 The Berg Talent is a range of smaller trampolines, designed to fit in smaller gardens. Whereas all other categories come in four standard sizes, Berg Talent come in three extra-small sizes ranging from 6ft, 8ft and 10ft. 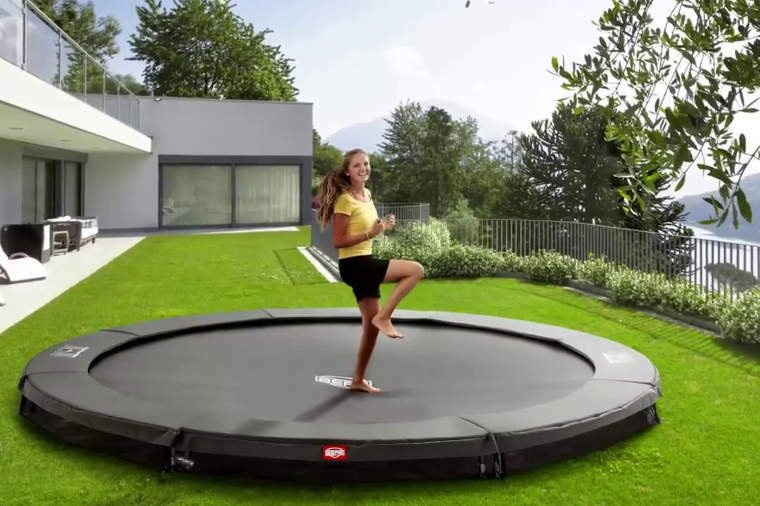 The Berg Favorit is the entry level for the standard-sized Berg Trampolines and for this reason Favorit are the most popular. All Favorit, Champion and Elite range models are available in 4 sizes: 9ft, 11ft, 12.5 and 14ft. The Favorit are a decent trampoline that take a jumping load of 46 stone (290kg) in total weight. The padding on the Favorit is 20mm thick and it tapers out to 10mm around the edges. That might not seem like a lot of padding — it’s less than the higher-end models, but it’s still one of the best on the market. Berg Champion models have double gold spring technology. A Berg Champion can take a jumping load of 64 stone (406kg) which is a massive increase in strength. The other major difference with Champion compared to the Favorit range is the thickness of the padding. Champion trampolines have padding 30mm thick (that’s 50% more padding). The Berg Elite are the absolute top of the range. As with the Champion range, they take a jumping load of 64 stone (406kg) . However, the elite range has extra thick 45mm padding with different textures for maximum safety at greater heights. Check out the video here for an overview. The BERG Buzzy go-kart range is perfect for children aged 2-5 years old. All go-karts in this range are equipped with a fixed connection between the front axle and rear axle so that the movement of the legs is immediately converted to the movement of the rear wheels. This ensures a simple and easy ride. Both the rear and front axles are mounted on ball bearings making the pedals and rear axle run very smooth and light. BERG Buzzy go-karts have special tyres which are made of a high-tech foam which are a great substitute for traditional rubber tyres. They are as durable as traditional rubber tyres but eliminate the risk of a flat tyre. The tyres provide a very quiet ride making the Buzzy range great to use indoors and outdoors. The steering wheel and saddle of a BERG Buzzy go-kart can be adjusted. As a child grows, the seat and steering wheel can easily be adjusted therefore allowing the go-kart to grow with the child. Here is the full range of our BERG Buzzy go-kart range. The BERG Buzzy go-kart is a cool ride that is yellow in colour. With this study four-wheel machine, your feet will firmly remain on the pedals even when taking sharp corners. The seat and steering wheel of this go-kart is adjustable for years of fun. It weighs 8.5 kg and comes with a two-year warranty. 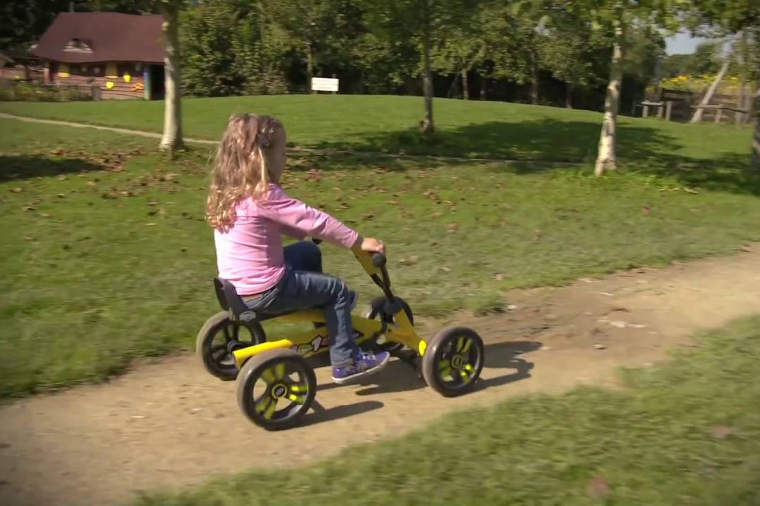 The BERG Buzzy racing go-kart is great for learning to pedal. It is a super stable go-kart so you will never have a flat tyre thanks to its special EVA tyres. The Buzzy racing has a direct drive system which helps you to pedal with little effort, making this machine very quick and easy to master. Its steering wheel and seat are easily adjustable, guaranteeing years of pleasure. The BERG Buzzy Bloom go-kart is a cute looking pedal toy that guarantees years of happy playing. It has a handy storage basket located on the front. This makes it perfect for taking toys around with you. The go-kart has an adjustable steering wheel and seat, making it suitable for growing children. With the Buzzy Bloom, you will get a sheet of stickers to decorate the go-kart to your liking. The BERG Buzzy Nitro go-kart is a super safe and stable machine. It can be ridden forwards and backwards. The Buzzy Nitro can be brought to a stop within seconds and its steering wheel and seat are easy to change depending on the growth/size of the child. It is great for tearing around the house, garden or neighbourhood. The BERG Buzzy Fiat 500 go-kart is available under licence from the Fiat 500. It has silent whisper EVA tyres so you will never have to worry about getting a flat tyre. The 4 wheels keep you firmly grounded when you are going fast around those tight corners. The Buzzy Fiat 500 has an adjustable steering wheel and seat perfect for growing children. It weighs 8.7kg and has a two-year warranty. The BERG Buzzy John Deere go-kart has the unique features and functionality of a BERG Buzzy in a cool John Deere design. It is fitted with a robust steering wheel that has a spinner knob, wide tractor tyres and large bonnet with cool grill making this look like a real John Deere. This go-kart is perfect for 2 to 5 years old due to its adjustable seat and saddle. Order your BERG Buzzy go-kart online today and make it a toy to remember. You can also visit us in-store in Frankfield, Cork. 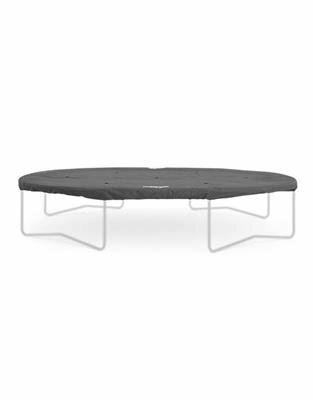 In addition to the contemporary round designed trampoline, BERG offers a rectangular shaped design known as the EazyFit. Their wide range of BERG trampolines includes the fantastic Inground EazyFit trampoline which is available in the colour green or grey. 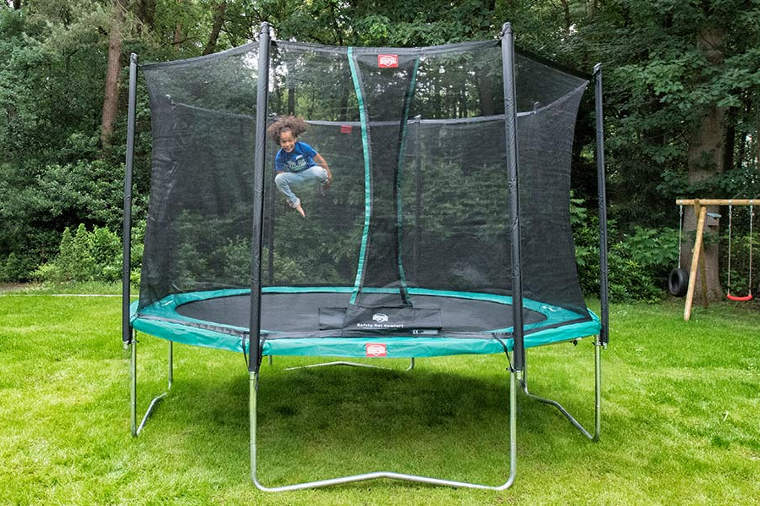 The trampoline fits flush with your garden and provides a jumping experience that will provide hours of fun. The Inground EazyFit is only available in the one diameter size of 220x330cm. The BERG Inground EazyFit trampoline ensures safe jumping for a long period of time. Its rectangular shape makes it a great fit in your garden. The Inground EazyFit is easy to step onto because it is sunk into the ground. This trampoline is extra safe because of its thick PVC protective edge which has a thickness of 30mm and a width of 400mm and is covered with a weatherproof PVC. Not only does it protect the trampoline but more importantly, anyone using it. The protective edge gives this trampoline an extra long lifespan because of its lower and upper layer no less than 0.55-mm-thick PVC. It is fitted with a TwinSpring Gold springs system and an airflow jumping mat (allows 50% more airflow) which ensure less air resistance and a larger jumping surface making for a higher, more comfortable jump. The springs are attached to the jumping mat by hooks and secured by a full 8 rows of stitching. It has a patented frame which is easy to assemble and install. 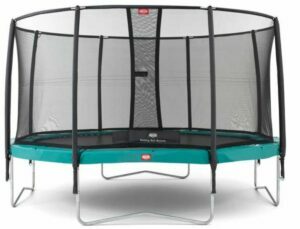 The advantage of a rectangular trampoline compared with a round trampoline is that you can jump over the entire length. You can also use the entire length of the mat with this trampoline. The Inground EazyFit is available with the safety net deluxe or without a safety net. It weighs 95.65 kg and is 20 cm in height. This trampoline is suitable for supporting a group of friends that want to play and bounce together. There is a max weight restriction of 110kg on the Inground EazyFit. Get your BERG Inground EazyFit trampoline by visiting us in store or online today. 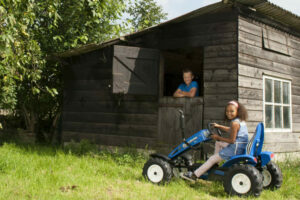 BERG Farm go-karts are perfect for children aged 5 years and older. BERG Farm go-karts have two different frames available which are the BFR and BFR-3 system. These systems allow you to brake and reverse immediately using the pedals. The BFR-3 system is a replica of the BFR system with the addition of 3 gears. All BERG Farm go-karts come with real tractor tyres and an exhaust pipe. Whichever farming brand you are a fan of we have in store. Our Farm range includes John Deere, New Holland, Claas, Case IH, Fendt and Deutz-Fahr go-karts. The Deutz-Fahr BFR go-kart will take you on great adventures. Its deep-tread tyres and swing axle give you extra grip and keep you firmly on the ground on uneven surfaces. There is a back-pedal brake for easy stopping with its unique BFR system. There are lots of cool accessories like a lift bucket, pallet fork or roll bar with flashing light that can be added to this go-kart for additional farm fun. The Deutz-Fahr BFR 3 go-kart will help you get the biggest jobs don on the farm. This go-kart has deep tread tyres giving you ultimate grip and a swing axle to keep you firmly on the ground. It has three gears meaning you can pick up speed quickly and splash through dirt and puddles at high speed. There are lots of great accessories like a lift bucket, pallet fork or roll bar with flashing light that can be added for additional farming fun. The Fendt BFR go-kart is a cool go-kart with real tractor tyres and exhaust which give it that real tractor look. The go-karts deep-tread tyres and swing axle give you phenomenal grip in all types of surfaces whilst keeping you firmly on the ground. The unique BFR system allows you to easily pedal forwards and backwards. You can personalise this go-kart with some cool accessories like a pallet fork, roll bar with flashing light or lift bucket. The Fendt BFR-3 go-kart will turn you into the best helper on the farm. This go-kart has impressive deep-tread tyres taking you anywhere around the farm. Its swing axle will keep you firmly on the ground while tearing around the farm. The go-karts three gears will allow you to pick up speed quickly and take corners even quicker. You can make it look even more attractive with some cool accessories such as a lift bucket, pallet fork and rollbar with flashing light. The Case BFR go-kart will help you do any farm job. It has fantastic deep-tread tyres as well as a swing axle to give you a great grip on all different terrains. With its unique BFR system, you have the ability to go forwards and backwards using the pedals. To make this go-kart even better you can fit it out with many cool add-ons like a lift bucket, roll bar with flashing light, pallet fork and many more. The Case BFR-3 go-kart will let you be a great help on the farm. It has deep tread tyres and a swing axle that give you a fantastic and firm grip on all different terrains. Its three gear BFR system will let you gain speed quickly and get through corners with ease. There are lots of cool accessories you can add to this go-kart to make it complete, such as a p allet fork, lifting bucket and even a rollbar with a flashing light. The Class BFR go-kart has deep-tread tyres and a real tractor exhaust giving it the look of a real tractor. This go-kart has a fantastic grip that will keep you firmly on the ground on all terrains when tearing around the farm. It is fitted with a back-pedal brake providing you with easy braking every drive. You can make this go-kart even cooler with some different farm accessories like a lift bucket, bulldozer blade, pallet fork or even a rollbar with flashing light. The CLAAS BFR-3 go-kart is just like a real tractor. It has deep-tread tyres with a swing axle which gives the driver extra grip in all surfaces. This go-kart will firmly keep you on the ground on uneven terrains. Its three gear BFR system makes uphill driving easy and allows you to quickly pick up the pace. To make this go-kart even cooler why not add some accessories such as a lift bucket, bulldozer blade, pallet fork or even a rollbar with flashing light. The New Holland BFR go-kart will take you on great adventures around the farm. Its impressive tread tyres and swing axle give you an added grip and will firmly keep on the ground. You can easily pedal forwards and backwards thanks to its unique BFR system. Personalise it some cool accessories such as a bulldozer blade, lift bucket, pallet fork or roll bar with flashing light for added fun. The New Holland BFR-3 go-kart has really impressive tractor tyres which ensure the best grip and also a swing axle to firmly keep you on the ground. It has three gears so you can change speeds at ease meaning you will get to your destination in no time. This go-kart can be made even better with the addition of some cool accessories, for example, you could add a bulldozer blade, lift bucket, pallet fork or a rollbar with flashing light. The John Deere BFR go-kart will make you the best helper a farmer can want. It has impressive deep-tread tyres with a swing axle giving you an added grip on all types of terrain. This go-kart has a back-pedal brake, you can easily pedal forwards and backwards. Add some cool farm accessories like a lift bucket, bulldozer blade, pallet fork or roll bar with flashing light for added farm fun. The John Deere BFR-3 go-kart will provide you with memorable adventures on your farm. It has great grip because of its deep tread tyres and its swing axle will ensure you remain firm on all different terrain. It comes with three gears so you can change to different speeds and reach your destination in no time. For more fun on the farm, you can add some cool farm accessories like a bulldozer blade, pallet fork, lifting bucket or roll bar with flashing light. Order your BERG farm go-kart online today and become the ultimate farm helper. You can visit us in-store or call us on 021-496-5132. Children love go-karts because they can pedal around freely, go on adventures and race other go-kart owners which makes memories that will last a lifetime. 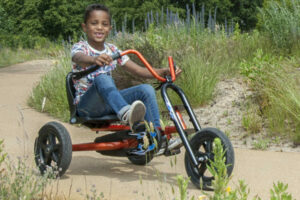 There are lots of different ranges, types, colours and features of BERG go-karts. One of the most attractive ranges of go-karts is the BERG ‘specials range’ which is perfect for kids aged 5+. These quality go-karts guarantee hours and hours of fun with every use. 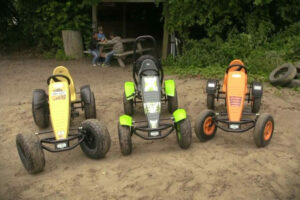 Below are all the different types of BERG go-karts from the BERG specials range. The BERG Duo Chopper has a high-quality BFR system. This system allows the driver to brake by using the pedals and reverse fast after coming to a standstill. This go-kart is equipped with a freewheel so the pedals don’t keep turning when it moves after the driver has stopped pedalling. This makes it super simple, easy and safe to ride. The Berg Duo Chopper has a smaller turning circle than a go-kart on 4 wheels because it has only 3 wheels, therefore, you can make much sharper turns making it extremely manoeuvrable. The BERG Duo Chopper has two seats so you and a friend can drive around on this go-kart because playing together is more enjoyable than playing on your own. The second seat can be taken off at any time so that a person can stand on its platform. 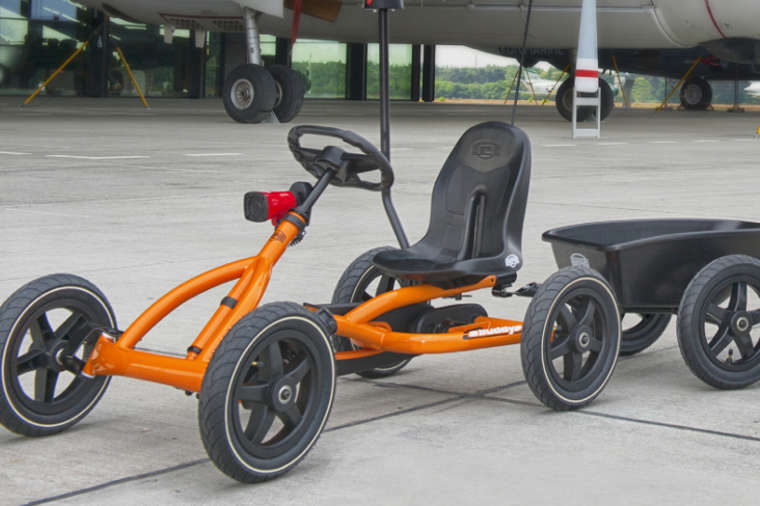 The Berg Black Edition BFR go-kart is black with touches of orange throughout. The special design of the go-karts spoiler and the tyres make it a very special go-kart to drive. The Black edition BFR has a very robust frame which makes it even suitable for professional use. Its adjustable steering saddle is perfect for all growing boys and girls because it can grow with you. The pneumatic tyres on this go-kart ensure extra comfort while its four wheels and swing axle keep you grounded firmly and safely on any terrain. You can ride forwards and backwards thanks to its unique BFR system. It has a double ball bearing providing extremely smooth steering and also back mudguards to prevent any spattering of water or dirt while the front spoiler makes the go-kart aerodynamic. The Berg Black Edition BFR-3 go-kart is perfect for the most exciting of adventures. Drivers of this go-kart will get off to a very smooth and fast start thanks to it having three gears. It is black in colour with touches of orange scattered throughout here and there. The design of the spoiler and the tyres make it a super-cool model of go-kart for fearless boys and girls. It has a very robust frame which makes it even suitable for professional use. The BFR-3 has an adjustable steering saddle making it suitable for all growing children as it can grow with the child. The pneumatic tyres ensure extra comfort while its four wheels and swing axle keep drivers grounded firmly and safely on all different terrains. You can ride forwards and backwards because of its unique BERG BFR system. This go-kart has a double ball bearing providing extremely smooth steering and also has back mudguards to prevent any spattering of water or dirt while its front spoiler makes the go-kart aerodynamic. The BERG specials range of pedal go-karts provide a truly special riding experience. To learn more or to purchase one of our specials range BERG go-karts, visit us online or call us today on 021-496-5132. The BERG Talent trampoline is great for smaller gardens. It includes a safety net which makes jumping extra safe. Padded fabricated PVC, self-enclosing entrance, wide diameter steel tubes give an extra strong frame. Available in diameters of 180cm/6ft, 240cm/8ft and 300cm/10ft. This trampoline is round in shape and the height of the trampoline is 76cm. The BERG Favorit trampoline is available with the safety net comfort. This trampoline offers hours of jumping fun with great safety. It is available in diameters: 270cm/9ft, 330cm/11ft, 380cm/12.5ft and 430cm/14ft. The height trampoline is 90cm and it is round in shape. 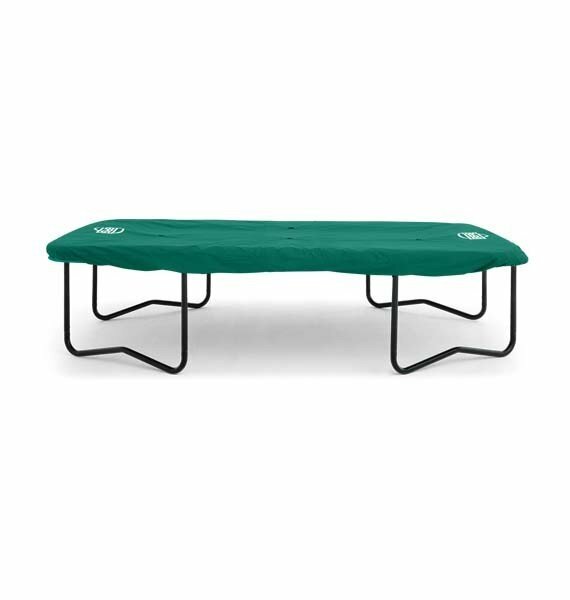 The BERG Champion trampoline offers hours of wonderful jumping comfort. It has an extra-wide and thick protective edge guaranteeing years of playing pleasure. This trampoline is available in the diameters of 270cm/9ft, 330cm/11ft, 380cm/12.5ft and 430cm/14ft. It comes with a comfort safety net or deluxe safety net option. The trampoline is round in shape and has a height of 95cm. The BERG Elite + trampoline offers great jumping comfort and ensures extra safety. It is a high-quality trampoline with a nicely designed safety net that complements it beautifully. The trampoline has an extra wide and thickly padded protective edge made from the best materials. It is round in shape and has a height of 95cm. Available in 11ft, 12.5ft or 14ft. The BERG Grand Champion trampoline offers fantastic jumping comfort, safety and durability. It has an extra-wide and thick protective edge ensuring years of playtime fun. It is available in the diameters of 515 x 380cm. This trampoline is oval in shape and has a height of 95cm. The BERG Eazyfit trampoline guarantees kids hours of fun. This trampoline comes with a safety net which makes jumping safe and prevents falls. Due to its rectangular shape, this trampoline needs less space. It has a height of 90cm and comes in the colours green or grey. To view or purchase one our fantastic regular trampolines, visit us online today. The Berg Inground Talent is ideal for all fun lovers. It is of high quality and has a 20-cm step. This trampoline is very safe for all children. There are pegs ensuring that it is secured firmly in the ground. It is available in diameters of 180cm/6ft, 240cm/8ft and 300cm/10ft. It is round in shape, the diameter is 300cm and height is 20cm. 6ft,8ft and 10ft sizes available. 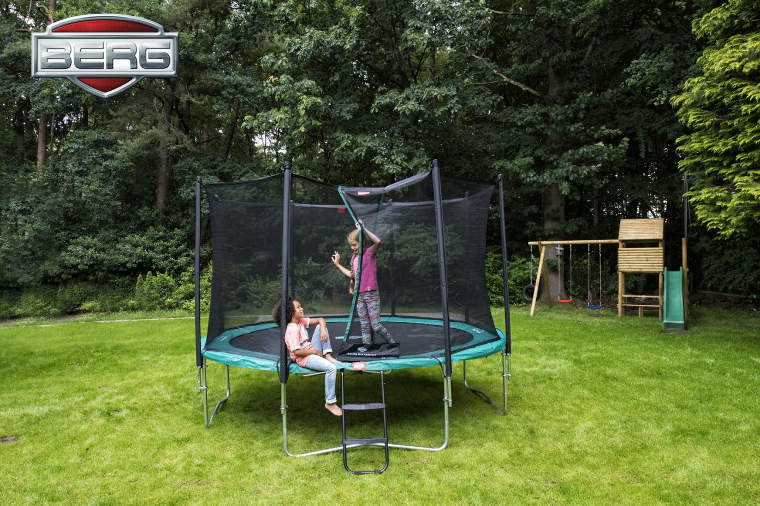 The Berg Inground Favorit is a great trampoline for the home. It is super safe and is low to the ground. The safety net on this trampoline prevents users from landing next to the trampoline. This trampoline is round in shape. Its diameter is 270cm and the height is 20cm. 9ft,11ft,12.5 and 14ft sizes available. The Berg Inground Champion is great for your garden. This super safe trampoline is low to the ground and the safety net prevents you from landing next to the trampoline. This trampoline is round in shape. The diameter of the trampoline is 430 cm and height is 20cm. 9ft,11ft,12.5 and 14ft sizes available. The Berg Inground Elite+ is a top quality trampoline with fantastic jumping comfort. It is extremely safe and the nicely designed safety net compliments the trampoline beautifully. It is round in shape, its diameter is 430 cm and height is 27cm. The Elite + comes in green, red & grey. Different sizes are 11ft, 12.5ft or 14ft. The BERG Inground Grand Champion gives you plenty of super jumping space to have hours of fun. This trampoline is extremely safe due to its low positioning and the safety net. 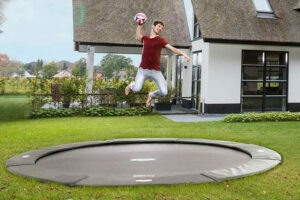 This trampoline is oval in shape, has a diameter of 515×380 cm and is 27 cm in height. Only one size available. The Berg Inground Eazyfit has an extra thick (30mm) and wide (400mm) protective edge. It is available in green or grey. This trampoline is covered with weatherproof PVC. It has TwinSpring Gold springs which guarantee great jumping comfort. This trampoline is available with the safety net deluxe or without any safety net. It is rectangular in shape with a diameter of 220×330 cm and a height of 20cm. The BERG FlatGround Champion has a unique airflow jumping mat which lets 50% more air through for an even better bounce. It has special noise-reducing straps underneath the protective edge so the air underneath the trampoline can escape. The trampolines protective edge is covered with durable PVC. It is available with a green or a grey protective edge. The Flatground champion has a diameter of 430cm. The Berg Flatground Elite+ fits perfectly into your home garden. Its frame is fully sunk into the ground and it comes in either the colour green or grey. This trampoline has a sturdy frame that is very easy to assemble and install. It has a unique BERG airflow jumping mat which has 50% more airflow. Its Twin Spring Gold springs are extra long due to the diagonal positioning and ensure a more even distribution of force giving you that extra bounce. It has a diameter of 330cm. If you would like to learn more about our inground trampolines then call us today on 021-496-5132 or visit us online. 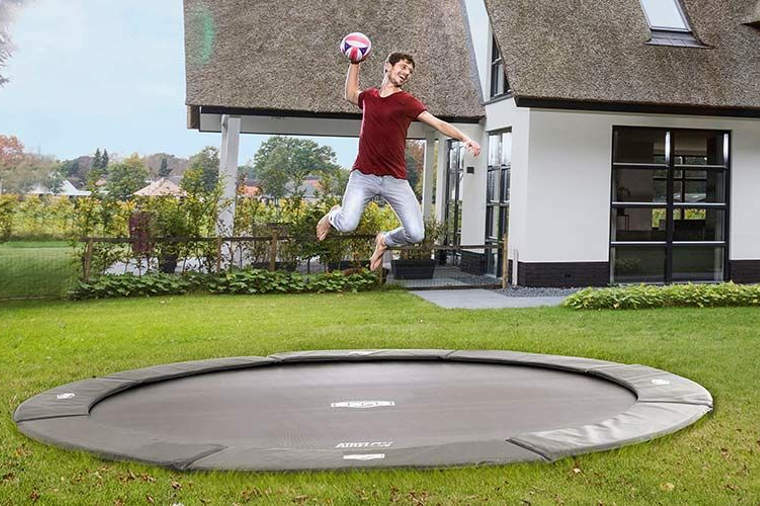 The BERG Flatground Champion trampoline is designed specifically to easily fit into the ground of home gardens. They come in 11 ft, 12.5ft and 14 ft variations. The 11ft model is capable of supporting jumpers of up to 100kg, the 12.5ft model can support a jumper of up to 110kg and the 14ft model can withstand a jumping force of up to 120kg. The BERG FlatGround Champion is perfectly integrated into your garden that fits seamlessly. The special patented sturdy frame of this trampoline is easy to assemble and install and is entirely sunk into the ground. All that you see are the protective edge and the jumping mat. With this trampoline, you can make nice light jumps on this trampoline. This is due to the trampoline having TwinSpring Gold springs to ensure better jumps. These springs are absolutely the best in terms of jumping comfort. The TwinSpring Gold springs are placed in a V shape resulting in longer and more flexible springs without turning in. The BERG FlatGround Champion is also equipped with the unique BERG Airflow jumping mat which lets 50% more air through for an even better bounce. It incorporates comfort with a higher, more flexible jumping action. This trampoline is very easy to step onto and provides extra safety due to the thick and durable PVC protective edge. Its special noise-reducing straps underneath the protective edge enable the air underneath the trampoline to escape. This means you will feel very little resistance when jumping and the protective edge will not rattle against the jumping mat. This trampoline is available with a green or a grey protective edge. 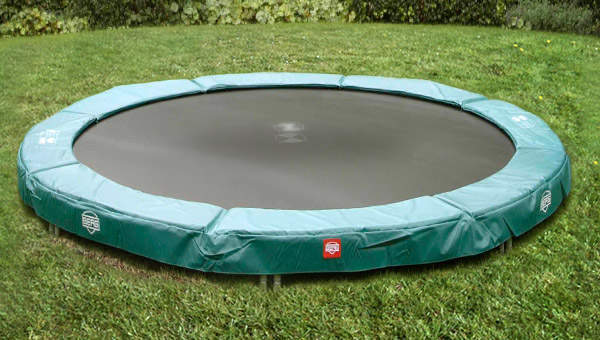 The flatground champion trampoline will keep children entertained for hours and is great for your health. Get your BERG flatground champion trampoline by visiting us in store or calling us today on 021-496-5132. To see our full range of trampolines visit us online and jump-start the summer in style. 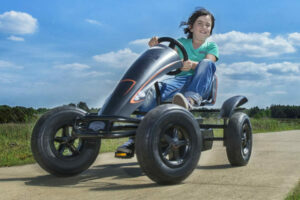 Go-karts are one of the most fun things available for children today. Children can pedal these around their neighbourhood, go on an adventure and even race their friends competitively. With all great things comes great choice and this is no different with go-karts, there are lots of different types, colours and different features. For every child, there is a BERG pedal go-kart that will provide them with fun for years. There is a go-kart for whatever age a child is or what specifications they want in a go-kart. Here are all the different types of BERG go-karts for kids. The BERG Buzzy range is suitable for children aged 2-5 years old. This range consists of the Buzzy go-kart, Buzzy Racing go-kart, Buzzy Bloom go-kart, Buzzy Nitro go-kart, Buzzy Fiat 500 go-kart and the Buzzy John Deere go-kart. The BERG Buddy range is suitable for children aged 3-8 years old. This range consists of the Buddy Choppy go-kart, Buddy White go-kart, Buddy Orange go-kart, Buddy Cross go-kart, Buddy John Deere go-kart, Buddy Fendt go-kart, Buddy Jeep go-kart and the Buddy BMW go-kart. The BERG Rally range is suitable for children aged 4-12 years old. This range consists of the Rally Orange go-kart, Rally Force go-kart, Ford Mustang GT go-kart and the Jeep Adventure go-kart. The BERG Compact range is suitable for children aged 5 years+. This range consists of the Compact Sport BFR go-kart and the Compact Pink BFR go-kart. The BERG Classic range is suitable for children aged 5 years +. This range consists of the Basic Blue BFR go-kart, Extra Blue BFR go-kart, Extra Sport Bue BFR go-kart, Extra Sport Blue BFR-3 go-kart, Basic Red BFR go-kart, Extra Red BFR go-kart, Extra Sport Red go-kart and the Extra Sport Red BFR-3 go-kart. The BERG Race range is suitable for children aged 5 years +. This range consists of the Race BFR go-kart and the Race BFR-3 go-kart. The BERG Farm range is suitable for children aged 5 years+. This range consists of the Deutz-Fahr BFR go-kart, Deutz-Fahr BFR-3 go-kart, Fendt BFR go-kart, Fendt BFR-3 go-kart, Case BFR go-kart, Case BFR-3 go-kart, Class BFR go-kart, Class BFR-3 go-kart, New Holland BFR go-kart, New Holland BFR-3 go-kart, John Deere BFR go-kart and the John Deere BFR-3 go-kart. 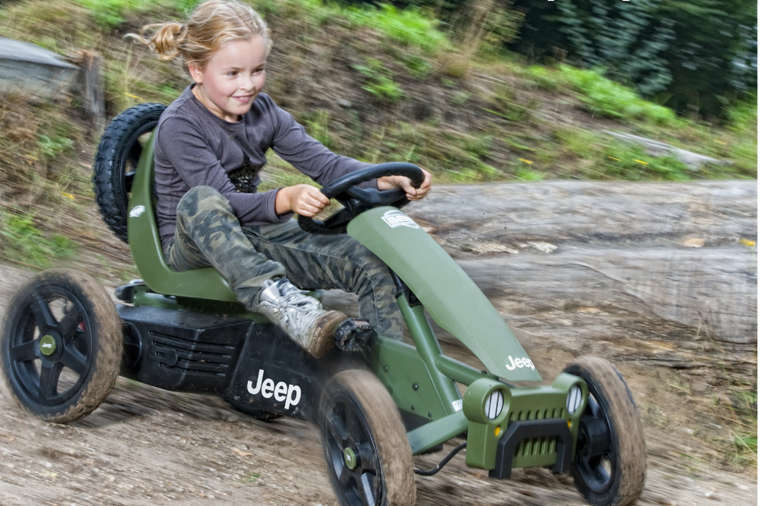 The BERG Off-road range is suitable for children aged 5 years +. This range consists of the X-Plore BFR go-kart, X-Plore BFR-3, Safari BFR go-kart, Safari BFR-3 go-kart, X-Cross BFR go-kart, X-Cross BFR-3 go-kart, Jeep Revolution BFR go-kart and the Jeep Revolution BFR-3 go-kart. The BERG Specials range is suitable for children aged 5 years +. This range consists of the Duo Chopper BF go-kart, Black Edition BFR go-kart and the Black Edition BFR-3 go-kart. There are many go-karts out there to buy on the market. We advise getting a go-kart that is suitable for the age of the child that will be using it. Also, different go-karts have different features so it is best to look at all the different go-karts and see which features appeal best to you. If your child is asking for a go-kart or just because they want one, then we hope that this will help you make a great choice. If you would like to learn more about go-karts then call us on 021-496-5132 or visit us online today. BERG go-karts are top quality go-karts and of course, provide hours and hours of entertainment to children each day. A BERG go-kart looks amazing in itself but you can even make your BERG go-kart look even cooler by adding accessories to it. All BERG go-kart accessories are produced from high-quality materials and manufacturing. Due to the use of high-quality materials by BERG these accessories last for a long period of time so that children can enjoy these great accessories for a long time. BERG pride themselves on innovation and they continuously obsess over product innovation. The majority of the BERG go-kart accessories are available in different colours and styles as well as some being available in the same colours and styles as those of different types of BERG go-karts. Other accessories like the trailers, lights, mirrors and flags are designed to fit any BERG go-kart.There is a huge range of go-kart accessories available to give your go-kart that personalised touch. From general go-kart accessories to farming accessories to passenger seats to spare wheels we have a great range of products to choose from to add to your BERG go-kart. BERG has an incredible range of go-kart accessories to personalise your go-kart to your liking and to love it even more. We have a great range of accessories available for you pimp out your go kart. 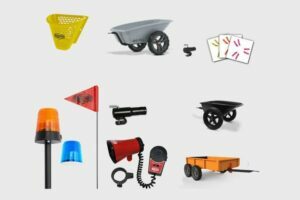 We stock flashing lights, flags and fittings, covers, sirens, license plates, horns and lots more. Your go-kart will look even cooler with some of our accessories added to it. With the BERG Buzzy trailer, you can easily take your things on the go with you. This trailer will make playing even more fun. Whatever things you have put them in the trailer and make your go-kart adventure complete. A towbar and wheel stickers are provided with this trailer. This Trailer is suitable for all BERG Buzzy’s. The BERG Buddy trailer is really easy to attach and detach. It has a plastic tray which is strong, retains colour and will not rust. This trailer provides additional fun. You can bring along sand, toys or anything else you want to play with.The trailer will fit all Buddy go-karts, Rally Orange, and the Jeep Adventure go-karts. Easily take an extra load with you on your go-kart adventure with the BERG large trailer. You can fill it with lots of toys, sports balls or even a basket of food. The BERG large trailer gives you that extra added space to take on any task or any adventure. The BERG large trailer is suitable for all big BERG go-karts. It is not suitable for the BERG Buddy or the BERG Rally go-karts. This sturdy steel trailer is easily attached to your go-kart. The trailer has a tipper function, making it easy to get your things out of the trailer. The trailer has steel edges making it extra sturdy. The BERG steel trailer can carry a maximum load of up to 40 kg. This BERG steel trailer is suitable for all big BERG go-karts. We have a huge range of BERG go-kart passenger seats to choose from. All the passenger seats are for different models and types of BERG go-karts as well as coming in different colours. Different seats and different go-karts have unique attachments and designs meaning not all seats fit all go-karts. Each seat has a different maximum load it can carry. We have matching spare wheels available especially for the BERG X-Cross, the BERG Safari, the BERG Jeep and the BERG X-Plore. A spare wheel will come in handy when you experience a flat tyre and will also make your go-kart look super cool and feeling new again.The spare wheels can easily be clipped on to the back of your go-kart. 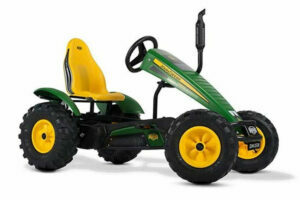 This 60.1kg BERG John Deere BFR go-kart will turn you into the best helper a farmer can wish for. This go-kart is suitable for children ages 5 and above. It contains an impressive set of deep-tread special tractor tyres, a swing axle for additional grip in dirty/muddy surfaces and a cool looking exhaust pipe.The BFR system will let you brake using the pedals, but also reverse quickly after coming to a standstill. For extra enjoyment, you can fit out this John Deere go-kart with lots of nice accessories such as a lift bucket, pallet fork or roll bar with flashing light. All the accessories that can be attached for specific farm work. The BERG John Deere BFR-3 weighing 62.1kg will take you on some great farm adventures. What differentiated this from the general BFR go-kart is that it has 3 different gears, an adjustable saddle, a rear lifting unit, a roll bar and mudguards. It also has deep-treaded tractor tyres with a swing axle to give you additional grip and support in uneven surfaces of the farm. The BFR 3 go-kart can be fitted with lots of great accessories as well such as a lift bucket, pallet fork and a flashing light. This go-kart is also suitable for children aged 5 years +. 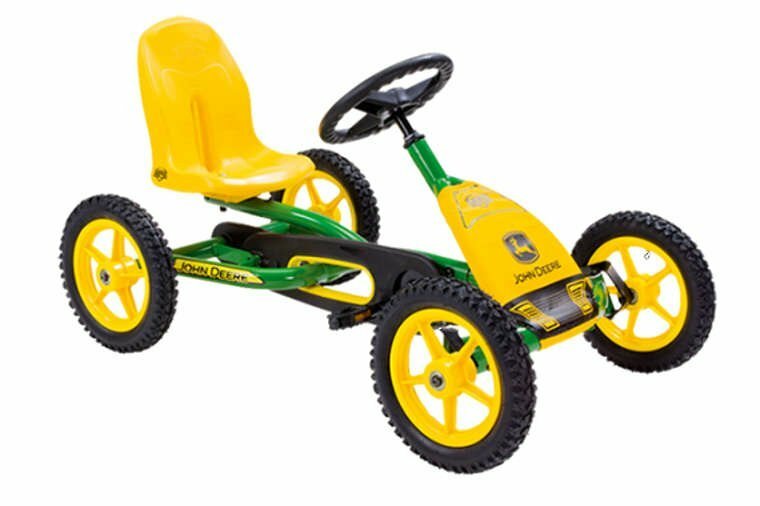 This 8.5kg real looking John Deere is perfect for children ages 2-5 years to have endless hours of fun.This John Deere Buzzy go kart is perfect for children that are growing due to the adjustable seat and saddle. Your child will maintain control at all times due to the independent steering while pedalling and braking. This go kart embodies all the functionality and unique features of a BERG Buzzy in a cool John Deere design. 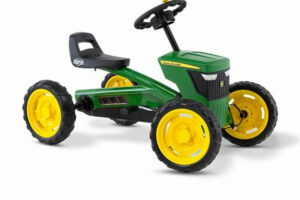 This easy to ride go kart has lots of cool and enticing features like independent steering, appealing John Deere design, large bonnet, spoiler, cool black grill, tractor steering wheel with spinner knob, headlights and special tractor rim tyres all features create and mimic a mini john deere tractor for children to have fun and enjoyment outside. The BERG buddy John Deere go kart is just 22kg in weight and is suitable for children between 3-8 years. This go-kart is a totally pedal-powered go-kart which doesn’t move as quickly as an electric go-kart eliminating the chances of injury. This go-kart is ideal in acting as an aid for kids to experience actions to help them to learn how to cycle later in life. Pedal toys allow kids to become coordinated and balanced while also gaining valuable confidence in their own ability to do something without the assistance of others. 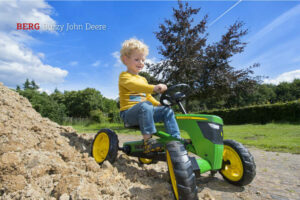 The John Deere buddy will make a child into an ideal helper on the farm. This go kart also has some unique and cool features to it like an adjustable seat and steering wheel to allow the go-kart to grow with the child, reverse pedalling, sealed bearings, deep tread tyres and a swing axle for added grip in rough surfaces. This go-kart guarantees years of fun. What’s the difference between talent/favorit and champion/elite trampolines? What’s the difference between comfort safety net and deluxe safety net? Comfort safety net- net is designed to be safe and secure and resist failing against heavy weight. Deluxe safety net- net is designed to be comfortable when jumping and landing against it. What’s the difference between inground and flatground trampolines? Inground- located in the ground i.e not built above the ground. Flatground- Located horizontally/level with the ground. 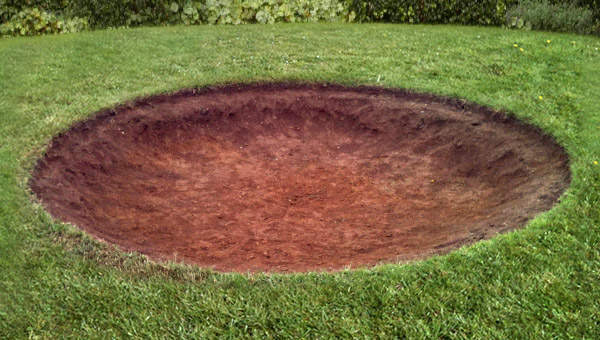 What size does the hole need to be for the inground trampolines? Depends on the model/type of inground trampoline you purchase different hole sizes for different models. What warranty comes with the trampolines? 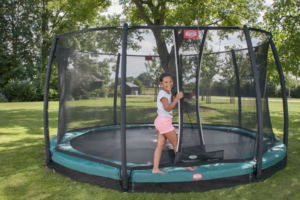 The warranty on BERG products differs depending on the product and for some of the products only parts come under warranty e.g frame of a trampoline. There is a checklist of situations whereby you won’t be eligible under the warranty. What weight restrictions are on the trampolines? Depends on what trampoline you get different trampolines are different weights therefore they can only hold a certain weight. What’s the difference with berg products compared to other brands? BERG has more than 30 years experience in developing, producing and selling active outdoor playtime pleasure. A team of experienced designers and engineers work daily on updating and improving products. Leveraging innovations in technology, quality, safety, ease of use and design, products constantly improve in function, ease of use and appearance. That’s why safety is paramount for all BERG Products. Safety is constantly taken into consideration throughout the development of a new product. BERG is synonymous with top quality. BERG set high-quality standards for their products. BERG conducts internal quality control on all of its products subjecting, the go-karts and trampolines to extreme conditions. In addition to internal testing, BERG submits its products to quality control testing independent bodies. As a result of the tests, the products are certified in accordance with international standards and legislation. Of course, the products are also tested by the users themselves i.e children. BERG takes responsibility for its role as a global citizen responsible for its “environmental footprint”. Sustainability is important to them. They strive to be as environmentally-friendly as possible in their production. BERG waste materials are submitted to recycling as much as possible. Yes, different parts can be gotten for different products.